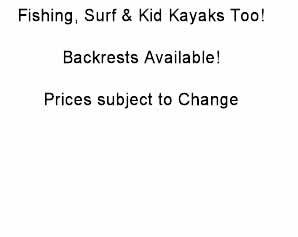 Go Go Kayak Rentals in Gulf Shores, Alabama & Fort Morgan, Alabama We rent paddle boards & kayaks. Best of all? WE DELIVER FUN! Have you ever heard a dolphin breathe? I have and it is a sound you will remember for a lifetime. All our kayaks are sit on top and very, very stable. Even if you've never been in/on a kayak in your life you'll be successful your first time out -- it truly is that easy. And it's easy for adults and kids alike. Bring out the kids, or bring out the kid in you. Let’s have some fun. Kids love being on the water, and they love paddling their own boat! We can introduce you and your family to a lifetime of enjoyment on the water. Easy to paddle and easy to manuever. Could it get better than that? We understand not everyone has the same desire on how they want to enjoy their day. You can come by our shop to pick up your equipment or we can bring it to your rental house. 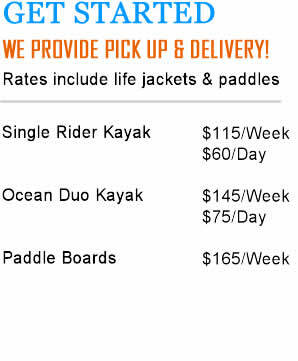 If you’re looking for a super easy outing you can launch directly from our Gulf Shores location. Rent for a day, rent for a week. We make it easy for you. Paddling is a fantastic group activity that anyone can enjoy! Go Go Kayak's group outings are customized just for your group: the location, boat types you choose, guiding and catering are up to you. Our team is at the ready to help you maximize your fun and minimize your hassles.